Gold Point, Nevada. 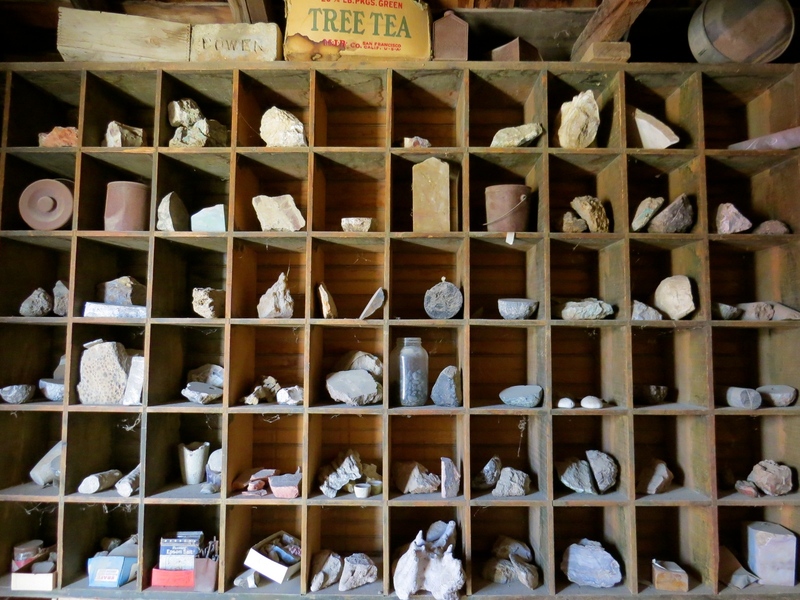 If you’ve ever wanted to own your own ghost town, elect yourself Sheriff, explore the mines and outbuildings stuffed with treasure or junk, depending on your view, then a visit to Gold Point, Nevada is for you. From the town of Big Pine, California take a scenic drive through the Sylvania Mountains along lonely Hwy 266. The scenery shifts from mountain passes dotted with pinyon pines to austere, blinding desert. There are several silver mining ghost towns out this way. Palmetto and Lida sprawl in ruins from the highway, old stone foundations dating from the 1860s. 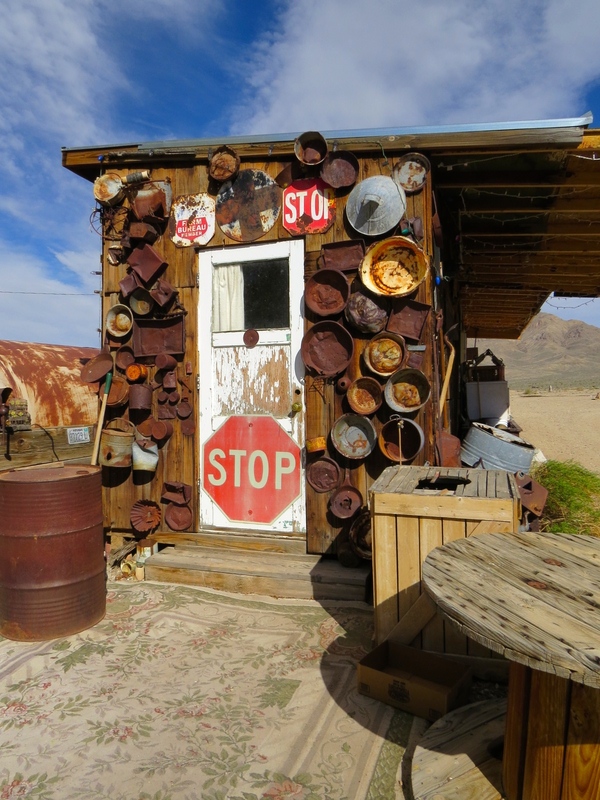 The piece de resistance is the ghost town of Gold Point, Nevada. It was a mining camp in the 1860s, but the town didn’t come into existence until 1908. Originally called Hornsilver, it eventually ended up as Gold Point. It had the usual story of boom and bust, although the town was never completely abandoned. In the early 1980s two friends began buying up the property and stabilizing the cabins and town buildings. 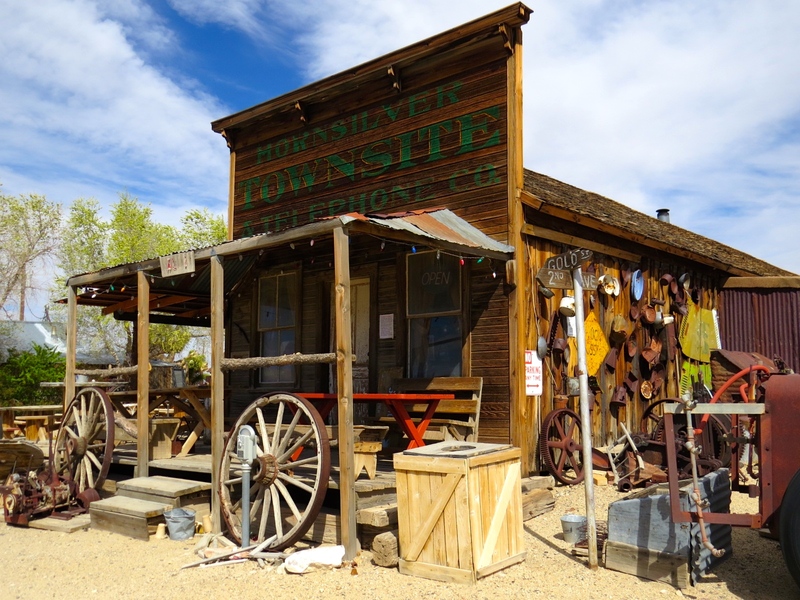 The result is a Wild West gem, gritty, isolated, and authentic, open to travelers with a fascination for these kinds of tucked away pieces of history. Herb Robbins, the owner and his business partner Walt are usually on the premises, willing to open the saloon and share a beer and stories. You can wander the town and take pictures. It’s a fascinating place to spend a few hours. 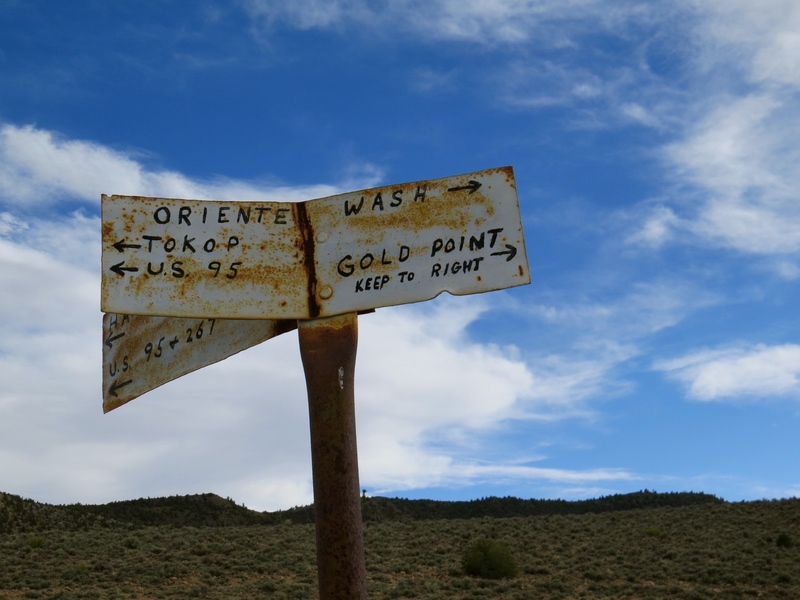 Word to the wise: the good folks of Gold Point, Nevada value their fierce independence and have made every effort to establish an autonomous community. Avoid talking politics! But appreciate the pioneering spirit that drove them to keep this place alive. *Pieces like this will appear in the Moon Guidebook to Death Valley, slated for publication Fall 2015.